Keep your food fresh with this Reusable Universal Silicone Lid. This silicone lid set can be used to seal up bowls, opened tin cans, plates, and even sliced open fruits and vegetables. Make your food last longer with these silicone lids. KEEP YOUR FOOD FRESH - Ever had leftovers that end up in the fridge for too long? Keep them fresh and clean even after being in the fridge for long with this silicone lid. These lids seal up your food so bacteria and moisture don't get into your food. 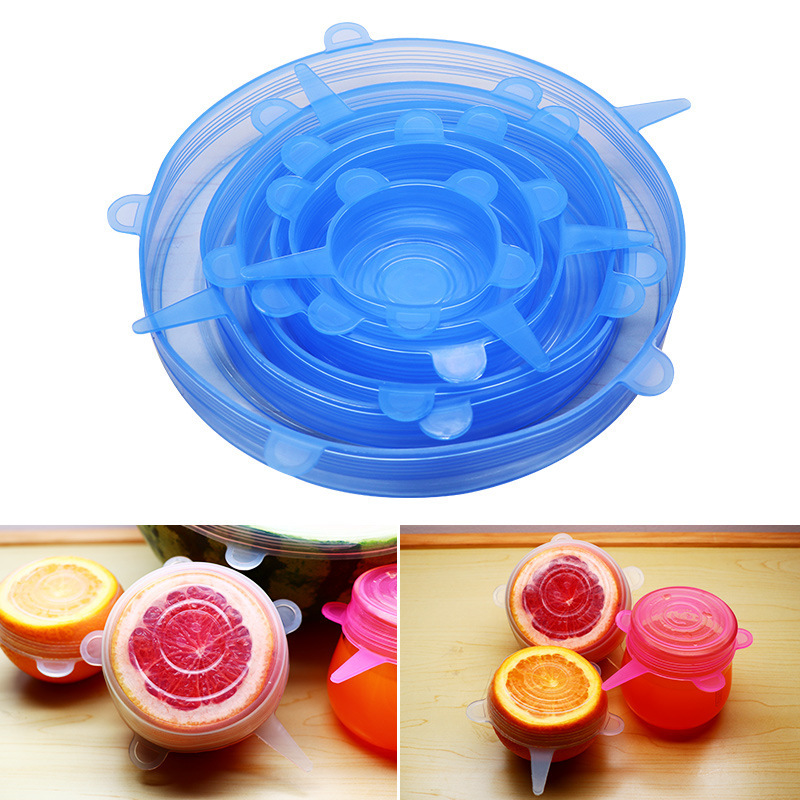 UNIVERSAL LIDS - Seal up your pots, bowls, plates, cups, cans, and even your opened fruits and vegetables with these 6 pcs Reusable Silicone Lids. The lids are stretchable to fit the size and shapes of what you need to seal up. 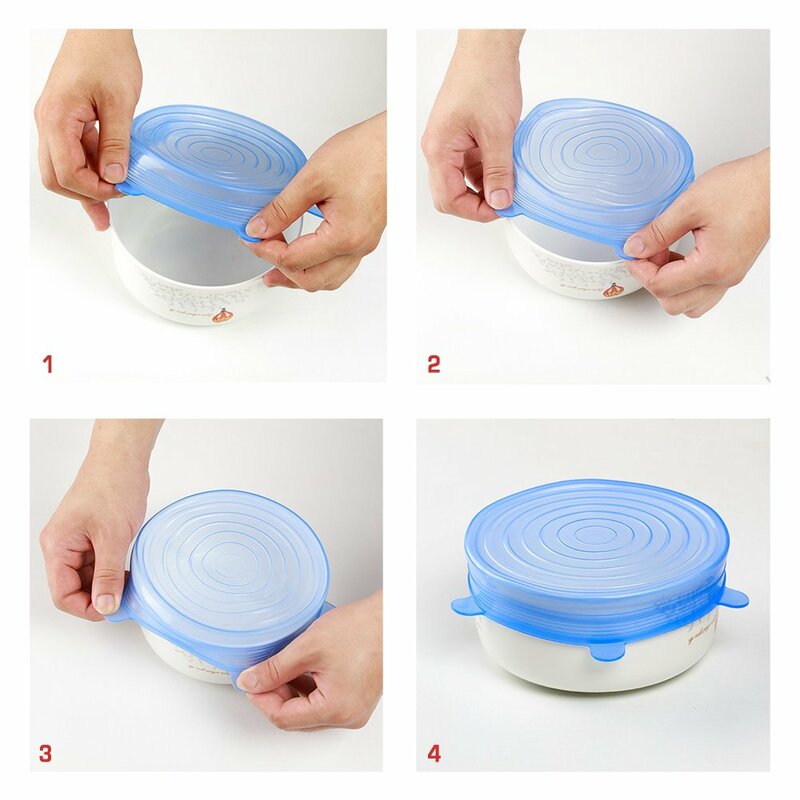 Choose which of the six lids from the set matches more closely to the size of what you need to seal up, place the lid in, and store your food. REUSABLE - Don't waste money on disposable saran wraps. These 6 pcs Reusable Silicone Lids is all you need! They're washable and reusable so you can just clean them after use and store so it's ready for the next time you need it. 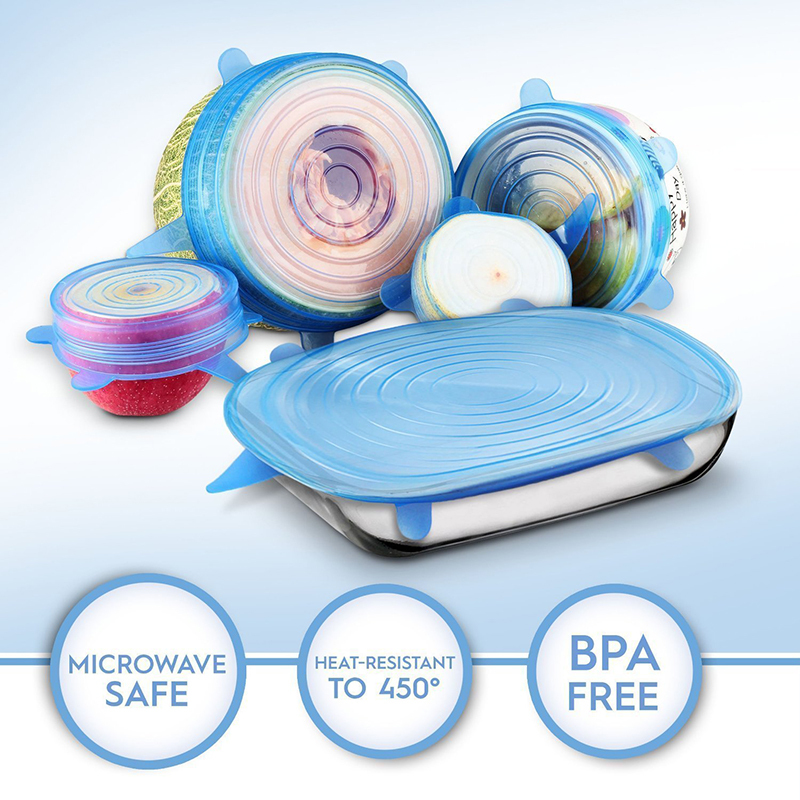 MICROWAVE SAFE - Want to heat your food straight from the fridge? No worries! These silicone lids are microwave safe so you can keep your food sealed while they're heating up in the microwave. SAFE FOR YOUR FOOD - These silicone lids are BPA-free so it's safe to use on your family's food. You can even use this to seal your baby's leftovers! Don't let your food go to waste! Preserve them and make them last longer by sealing them up! Get these silicone lids now to safely store leftovers, fruits, and vegetable! Perfect product. Arrived very fast in 11 days.